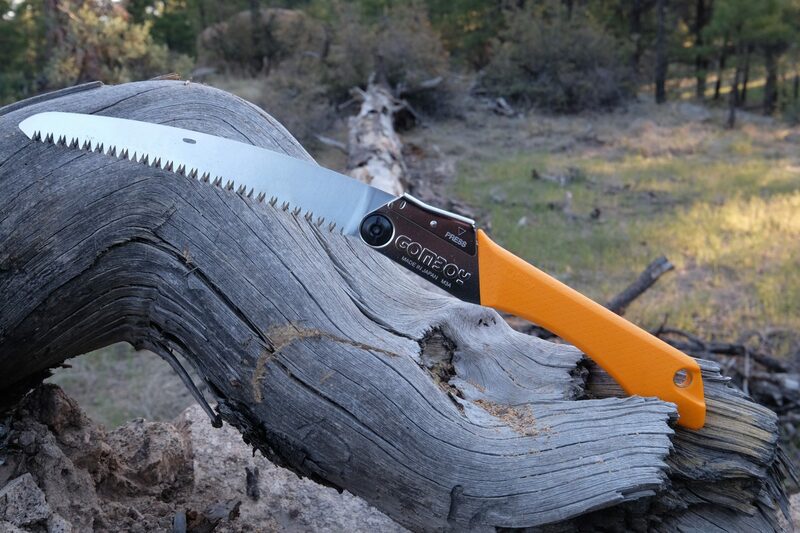 A compact and portable hand saw is a convenient tool everyone should have in their arsenal. I’ve tried dozens over the years, some good, many only good for a short while before they dulled prematurely or simply fell apart. With spring fully sprung and a lot of deadfall laying around my local forest, I realized I was once again starting to accrue quite an inventory of cutters with lots of opportunity to put them to use. It seemed like a perfect time to add even more to the tool chest and test them side by side. 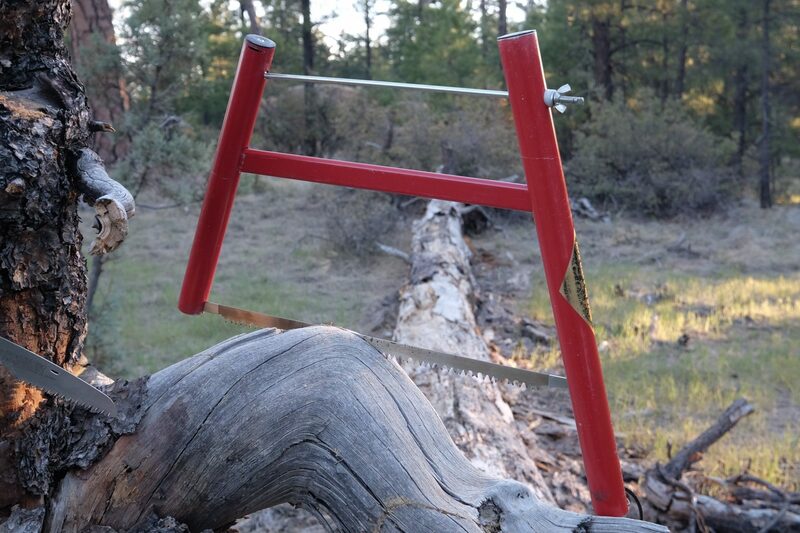 Let’s start this off with one of my favorite possessions, one I’ve owned for years: my much-loved and trusted Trailblazer Bucksaw. Made in Nova Scotia, these are extremely hard saws to find. Imitations abound, some of them relatively close in quality to the original, but it’s still not impossible to find the genuine article and as best as I can tell, there is no true substitute for the real deal. 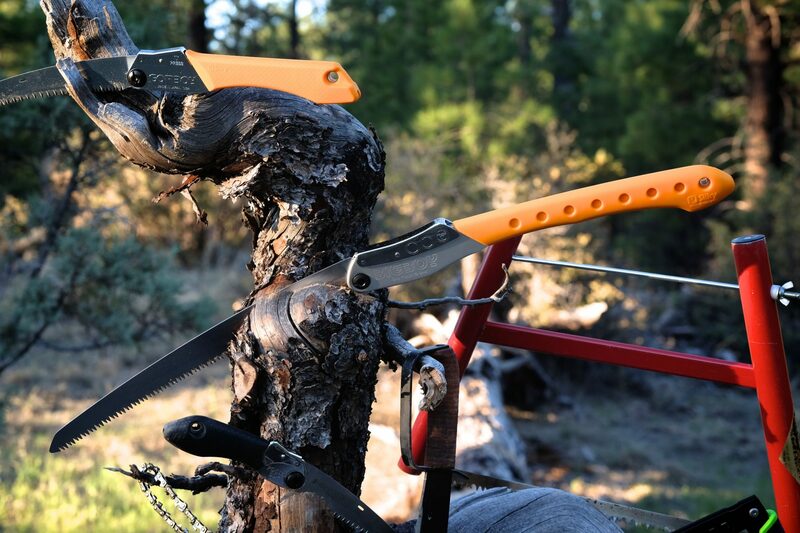 The beauty of the Trailblazer Bucksaw is the proficiency of the cutting performance relative to the packed size and ease of setup. With practice I can have the saw assembled in under a minute. It’s also capable of making short work of logs up to 10 inches in diameter. The Swedish steel saw blade is remarkably efficient, has a smooth cutting action, and has stayed sharp over the course of a decade of use. I almost never go camping without it, and when I encounter a fallen tree on a favorite trail, more often than not the Trailblazer lives up to its namesake. The key to the saw’s proficiency is the large frame and handle which allows me to place one hand below the saw blade and out of harm’s way. I can really yard on the handle and get a big cut completed quickly. The entire saw packs within the longest aluminum tube making it very convenient for transport. If you’re lucky enough to locate the original Canadian-made Trailblazer, buy it. If you don’t want to keep it, call me. I recently reviewed this saw and in the time since have been increasingly impressed with its performance. Hand-driven chainsaws usually don’t work very well, or for very long, but the Nordic Pocket Saw is different. The key to its proficiency is the bi-directional cutting teeth which are placed on every primary link, not every other as is the case with similar saws. 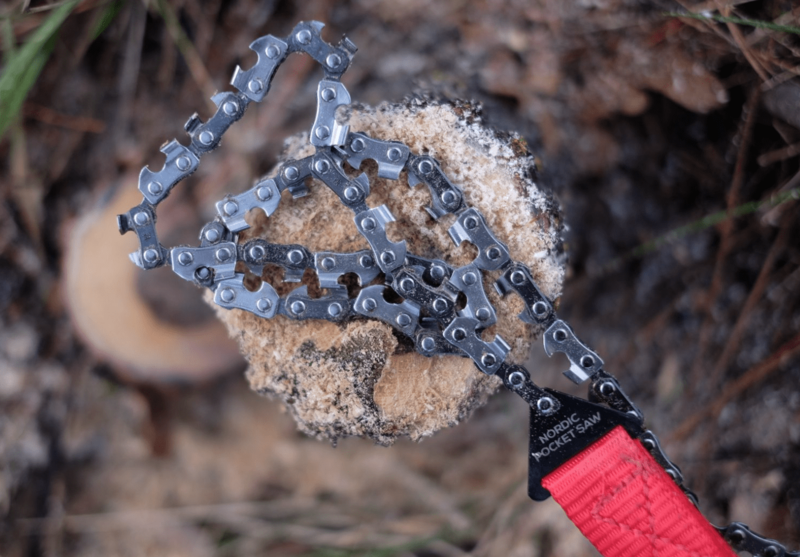 The chain is laterally stiff, connected with rounded rivets to reduce friction, and joined to large nylon handles. 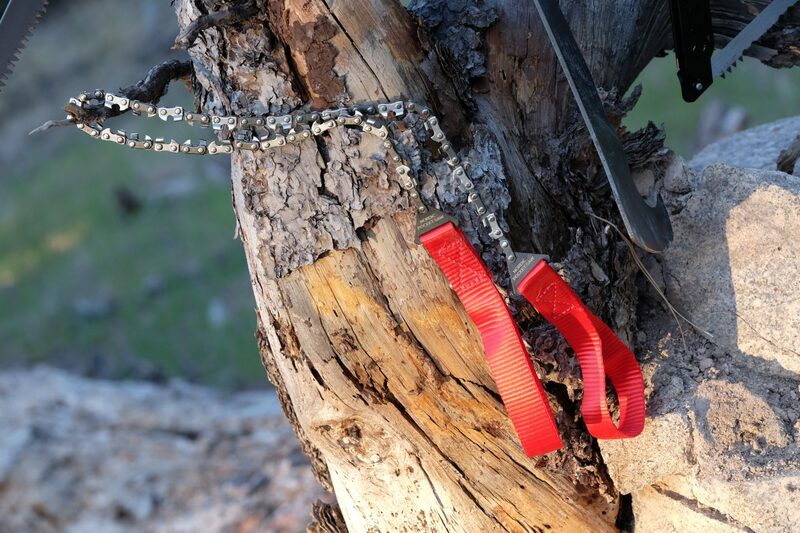 Those refinements help the chain glide over the wood with control and force without snagging or catching. I’ve cut a lot of wood this spring with my Nordic Pocket Saw. I imagine I’ll end up cutting a lot more before it needs to be sharpened, which is easily achieved with a small 4-mm file. I ended up buying two Nordic Pocket Saws; one lives in my mountain biking pack, the other tucked into my glove box. 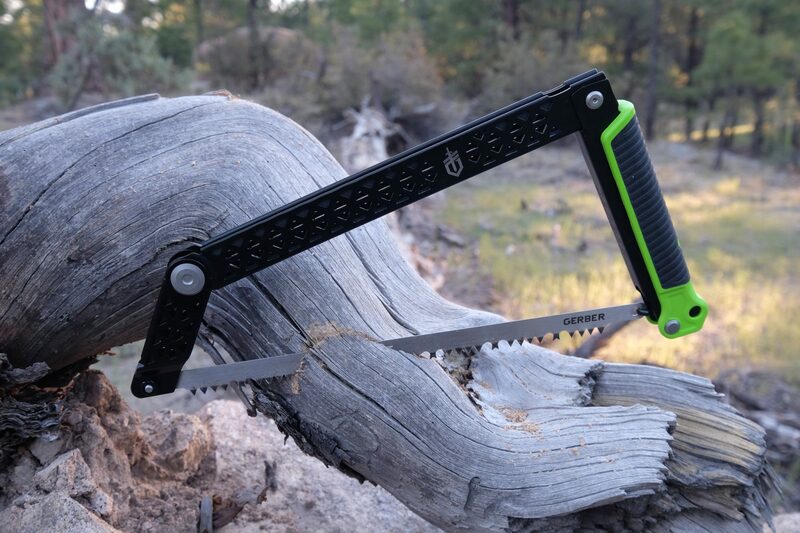 When I was given the opportunity to test this compact folding saw I thought—mmmkay, why not? 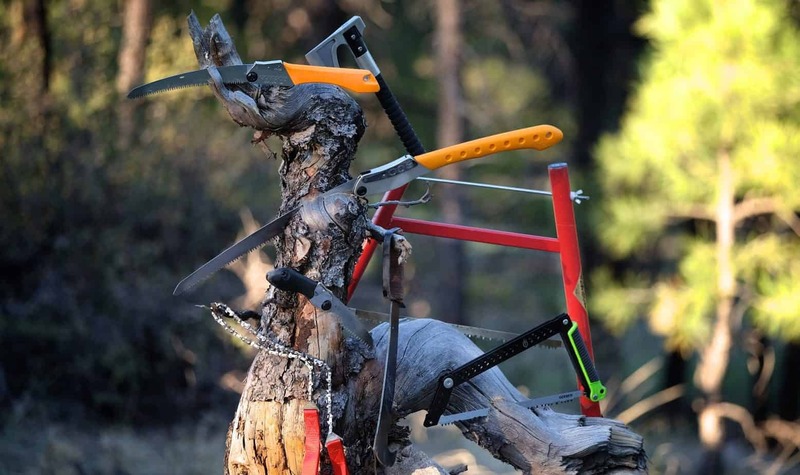 It’s a folding hand saw, how good could it be? Then it arrived and had my wife not stopped me, I probably would have dramatically altered our backyard landscaping. This thing is nice. Packaged in a durable plastic case, the GOMBOY exudes a level of precision and quality indicative of its Japanese origins. The latex rubber grip feels secure in hand and for lack of a better description feels—comfortable. 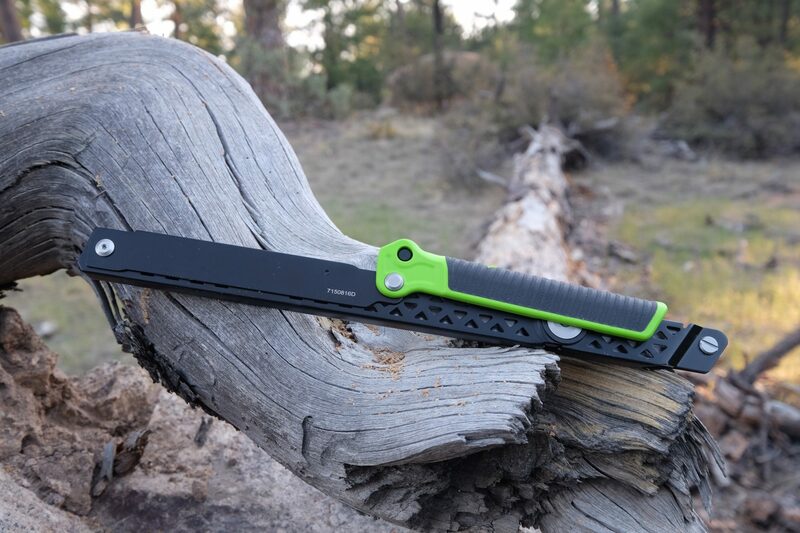 The folding blade locks into position with a reassuring click, and the replaceable 8.3-inch curved blade has 6.3 teeth per inch making short work of limbs up to 4 inches in diameter. Like all Silky saws, the blade is chrome plated to bolster longevity and reduce friction. With a total length of 17 inches, the GOMBOY seems small relative to the big jobs it can tackle. As such, this saw is never far from my side. 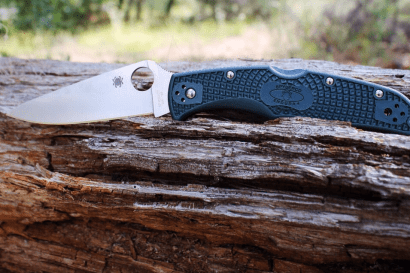 At less than a foot in length with a blade of just 5 inches, the Pocket 130 is appropriately named. Like a burly pocket knife, it has a straight taper-ground blade which can be locked in two different positions for optimal cutting angle. It’s a handy saw to have around when working in tight areas with thick brush where limbs need to be removed before diving in with a bigger tool like an axe, hatchet, or my favorite saw, Silky’s own BIGBOY. Got a chunk of wood giving you the stink-eye? Look not further than the BIGBOY to make pieces of it. 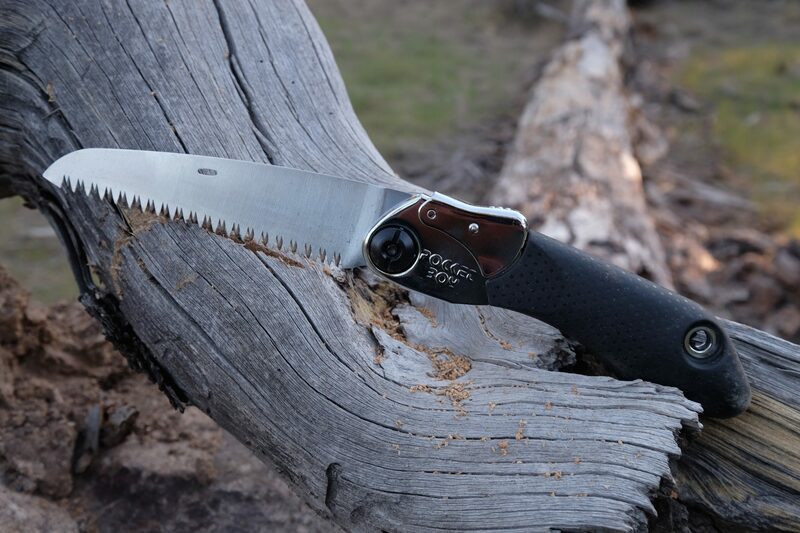 With a total length of just under 30 inches with a 14-inch blade and latex rubber-coated handle designed for a two-handed grip, the BIBGOY can gnaw through an 8-inch log with minimal effort and impressive speed. To say it’s fast and easy does a great injustice to the BIGBOY. I was positively astounded with the cutting efficiency of this saw and in a matter of minutes made half a dozen clean cuts through a 6-inch limb. The curved blade has large teeth, 5.5 of them per inch, on a curved arc designed to maximize cutting forces with the more efficient backward pull. The ideal diameter of limb for the BIGBOY is probably around 6 to 8 inches, but I admit I’ve tackled some big pine with no problem. As much as I like my Bucksaw, which only takes a minute or two to assemble, the Silky can be unfolded and cutting in one fluid motion. What I find most appealing about all of the Silky saws is the undeniable quality of materials, design, and construction. These are premium products with no compromises made. If you noticed, we have a tie for my top pick. The Freescape was the last saw I tested in this shootout and prior to unboxing it, I had already tapped the BIGBOY as my favorite. File that under poor journalism. After a few days with the Freescape, I knew it was equally good as the Silky, but for different reasons. 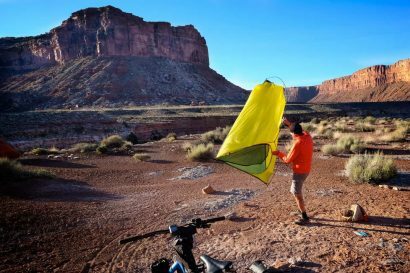 Unlike the Trailblazer which requires the assembly of multiple loose components, the Freescape employs a smart design built around four robust pivots which keep all of the pieces connected. There’s nothing to misplace or drop in the weeds and setting up the saw is a two-step process completed in under five seconds. Simply unfold the handle and frame, connect the 12-inch blade, and snap the rubberized handle forward to lock everything in place. The shape of the frame assembly allows for optimal cutting potential and can easily tackle logs with a 6-inch diameter. You do have to mind your knuckles when working on those larger chunks of wood, but this is a very small and compact saw with big cutting chops. At $60 it’s a great value and perfectly sized to slide into a backpack or under a truck seat. This famous tool has been around for a half century. At the onset of this review I realized my saw was from circa 1992 and while not pooped out, I thought it best to order a new one to review. 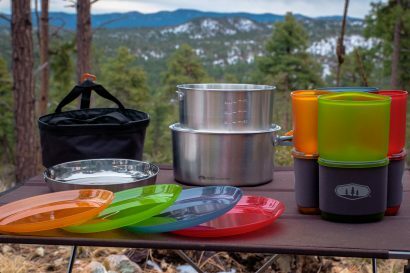 At a street price of under $40 and readily available through hundreds of retailers nationwide, the Sven Saw is well known, and well liked. Available in two sizes, I tend to favor the 15-inch saw over the 21-inch as the name of the game with the Sven is the compact folded size. Quick to set up and extremely simple with only three components, this is a great tool to have in a field kit or stashed under your car seat. At under a pound it is light enough for me to carry it on some spring bike rides to clear deadfall, and the small saw will dispatch an 8-inch log in no time at all. It’s a great value, but if I have one nitpick, it’s that the highly triangulated shape does limit the size of the log it can tackle. It also lacks the stiffness and stability of my folding Bucksaw. Still, for the money and size, it’s a great tool. Anytime I test a wide range of products there are always few that fall short, if just barely. These should not be considered poor choices, they just didn’t match up to the tools listed above. This is not a bad tool, and had I not become so enamored with the Silky saws I might have given the SOG higher scores. 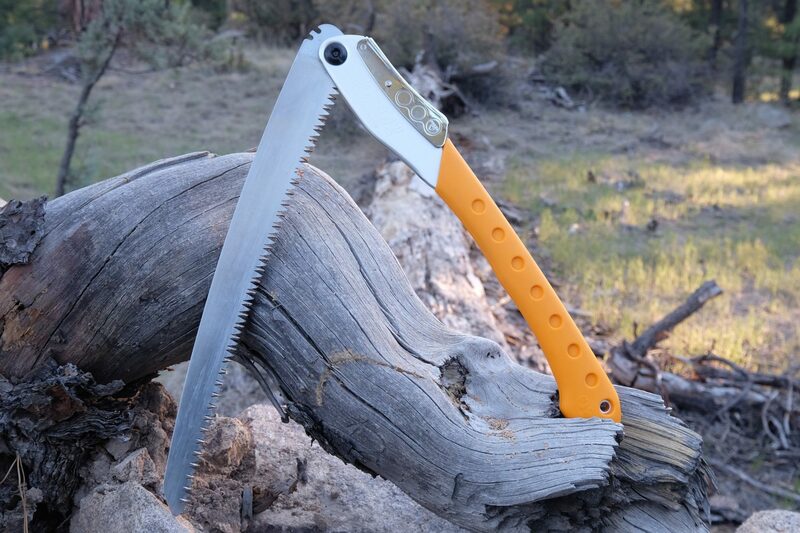 On the upshot, this saw is cheap at just $26. However, the locking mechanism felt underdeveloped and the pivot was not nearly as refined as the Silky. Again, not a bad product, and probably priced accordingly, but I think better options exist. I really don’t know if Coghlans has ever made anything that wasn’t complete junk and destined for the dumpster, but this saw sure doesn’t buck that trend. Made of lousy aluminum and plastic components tenuously held together with flimsy pop-rivets, this saw is about as effective as a beaver with dentures. Save your money for a six pack and a hoagie. I could, and probably will, repeat this project with an evaluation of hatchets and axes, but I’ll slip a few unique choppers in this mix. 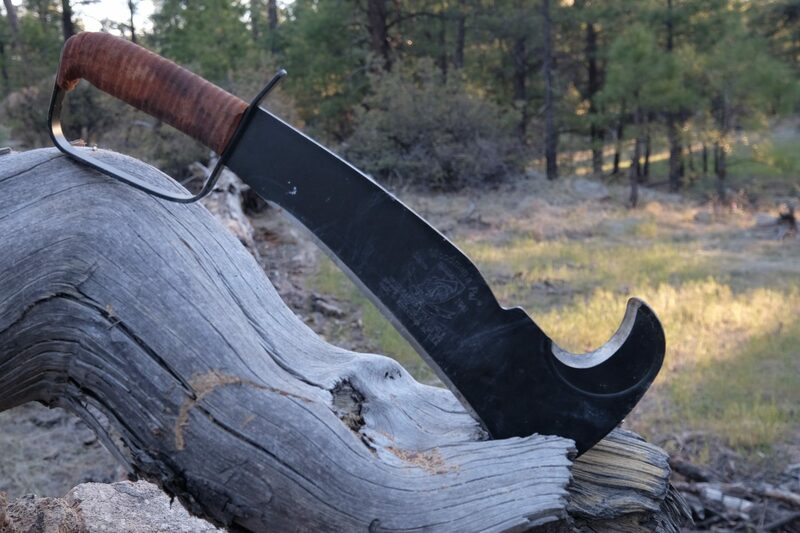 As much as I didn’t care for their Folding Wood Saw, SOG’s Camp Axe is pretty sweet. I have several small hatchets, some of them boutique things with Scandinavian origins, but they’re—big. The SOG axe is downright diminutive compared to the big cutting work it can tackle. The glass-reinforced handle is extremely light and deadens vibrations as well as wood. 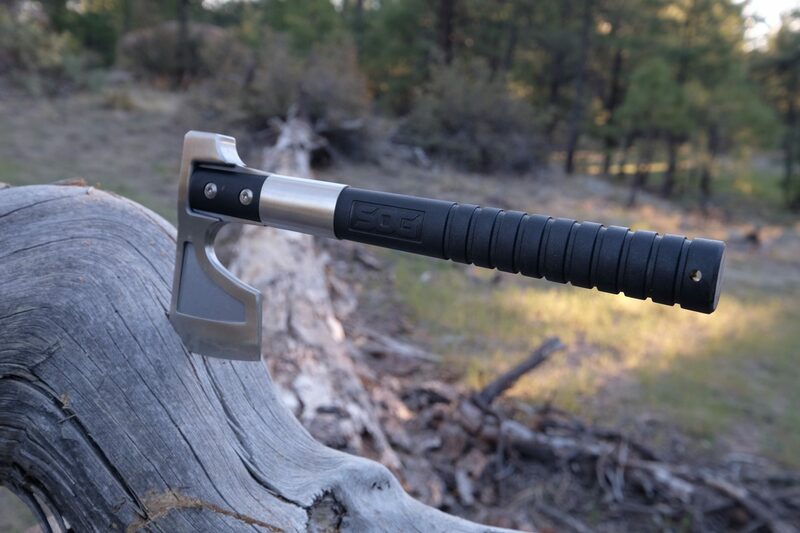 The stainless steel axe head has a 3.1-inch cutting edge which is impassively sharp and so far, has stayed honed through several hard uses. At only a pound in weight with a total length just under 12 inches, the Camp Axe lives in my vehicle where it’s always at the ready.